Americans. We offer an ethical and healthy alternative to factory faming. What Vermont Natural Beef offers consumers is not rocket science, but there is a real science that goes into sustainable agriculture and raising beef that is healthy to eat and tastes great. First, it’s important to us, and should be to you, that our farm is small enough that we don’t lose track of what we’re doing, how our animals are being treated and how our land is being managed. 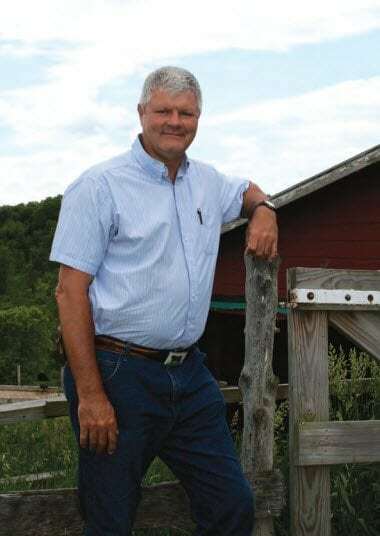 We run Vermont Natural Beef as a “family farm.” Specifically, we run Vermont Natural Beef with the full time dedication of me, Bob Stannard, one of my sons, Sam Stannard, and a close friend of 35 years (from the University of Vermont Ag School) – Rob Proctor. Other extended family and friends pitch in as needed. Working with the USDA and the State of Vermont Department of Environmental Protection, we have invested a very significant amount of time and money and strung miles of new high tensile fence in order to create appropriate boundaries to protect wetlands and prevent spring manure run-off. We have made a commitment to minimize the use of chemical fertilizers on our land. Why? Well it’s a matter of short term gain and long term damage. Chemical fertilizers will indeed make the grass grow quickly, but that grass will have less of the natural nutrients in it. It will be missing or low on some of the key nutrients we want our beef to grow on. Worse yet, that same chemical fertilizer ends up killing many of the microscopic organisms that should be abundant in healthy soil. Does this mean we need a little more land per animal raised and that this is not the cheapest way to raise beef? Yes. But we know it is the right way to raise beef, and the right way to husband the land for future generations. We’re the closest you can get to getting beef direct off the land. Our beef isn’t bounced from hand to hand, dealer to dealer along the complex traditional beef supply chain. What you see when you visit us is what will make its way very directly to your table. We are committed to growing you the best tasting beef you can find anywhere, and in doing so, delivering to you a product you can trust, believe in and be enthusiastic about. Again, we invite you to explore Vermont Natural Beef thoroughly. Please call and if possible consider a visit.